The post red carpet chatter is alive and tweeting about best/worst dressed at the Grammys last week. Forget worst dressed because if you can’t get it right with your stylist, find a new one. Done! 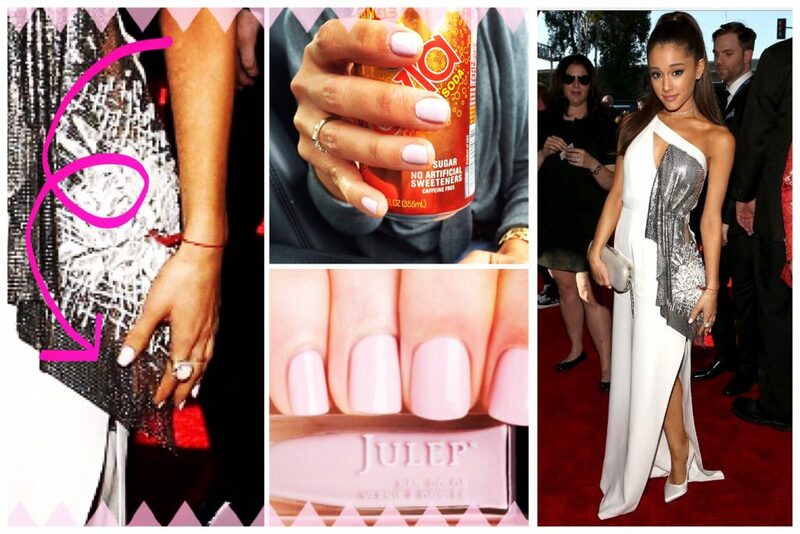 And Ariana Grande – anyone catch her whited-out pastel pink nails? As for the nails, FOUND! I am sure this isn’t Ariana’s EXACT polish, but both my kids said, “Mom you found it”! Pretend the can of mom soda is a gorgeous clutch and just take in the color. Get the scoop on this fab pink color plus 4 others via Julep, click HERE for this weeks nail post on the blog. I was so excited to see Gwen rocking her jumpsuit to perfection last week. To me jumpsuits are the new LBD. 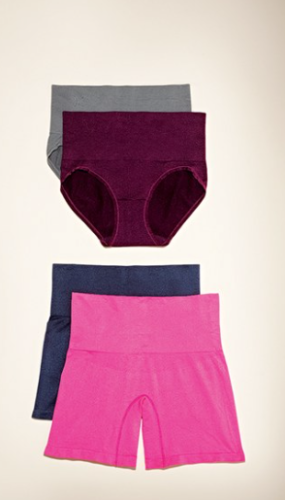 There is truly a style and fit for every body type, you just need to find the one that works best for you. I realize that spaghetti straps are not for everyone, there are more styles out there now than I can cover in one post so pop back next week for more color and style options. I’ve listed a few options in black below to get you started. I love it for it’s versatility. It is very lightweight and can be worn in the Spring and Summer. I think jumpsuits look best with heels. With the right shoe, this style can make your legs look miles long! I would however wear this particular style (because of it’s cropped length) with a metallic low heeled sandal the summertime as well. I think a heavy shoe weighs the look down. My shoe is an ankle strap sandal but I also like a pointy toe pump as Gwen wore with her jumpsuit as as I did above. I have my eye on replacing this gold platform ankle strap with one of the newer, lower heeled ones out there for spring. There is a black jumpsuit out there for every body type and price range. 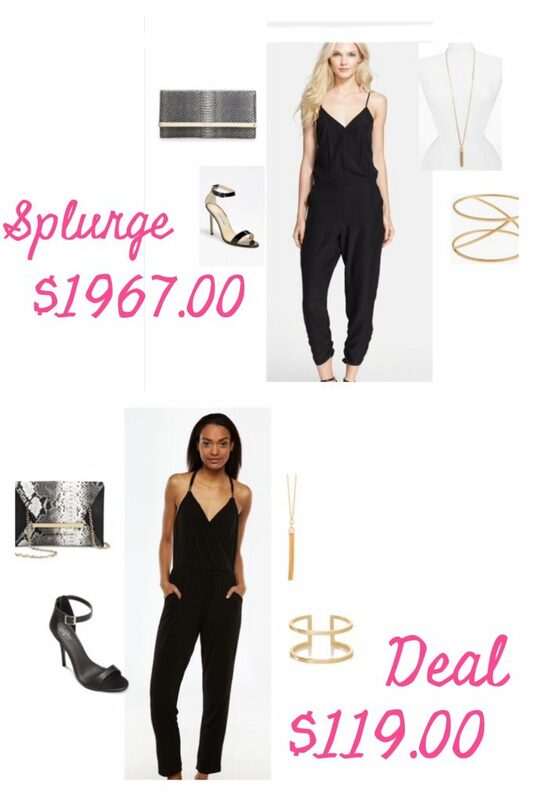 A key to pulling off a jumpsuit is great shoes. I rounded a few up for you, many available at the Nordstrom Clearance Sale, on now. Add some great jewelry, but not too much. Click photo for links, many are on promo this weekend! Click photo for links as well! 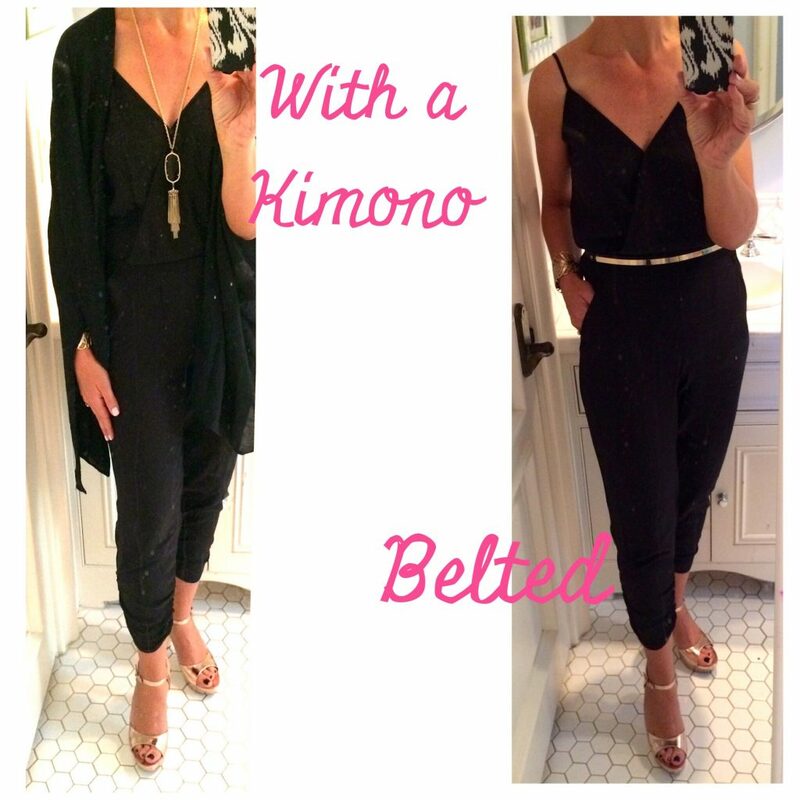 A great jumpsuit look needs good shape wear! I prefer Yummie Tummie over Spanxs because Spanxs gives me a stomach ache #nostomachache! I love this Cocoon Sweater HERE , featured on ASB HERE. 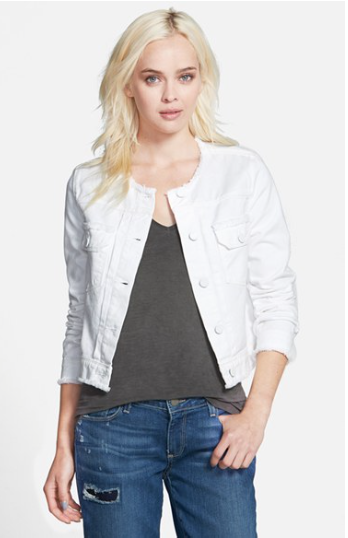 I think THIS Paige denim jacket at 40% off is great for Spring and Summer paired with dresses or anything for that matter. I noticed quite a few handbags now on sale, including some great styles from Michael Kors. The Sam Edelman Felicia flat is on sale in selected colors. Happy Valentines Day and enjoy this beautiful three day weekend! Thanks for the wonderful round up of jumpsuits, Gwen Stefani’s Grammy suit was my fav of the night. 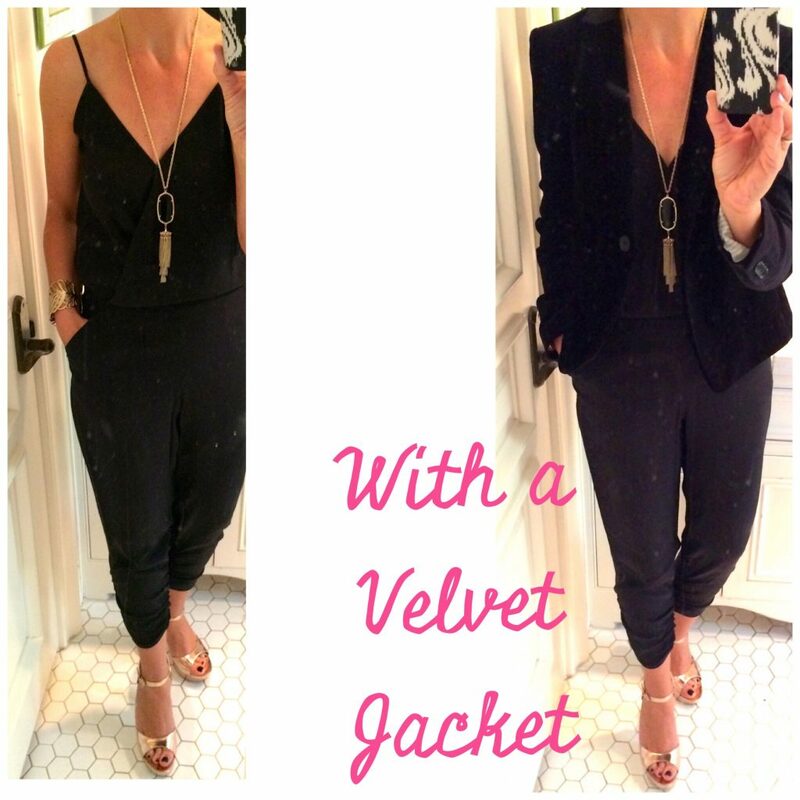 Great ideas on what to wear with jumpsuits too. Awesome post, as always, Suzanne.